So that's 2012 almost out of the way. I don't know what musical treats 2013 will bring (apart from that new Empire of the Sun album of course) but it can't be any worse than this year. So here is my wish list for 2013: as things stand, I can't see any of them coming true, but I can dream! This is my last post on EuropeCrazy for 2012, so I'd like to take the opportunity to thank all my loyal friends and readers of this blog for your continued support and friendship over the past year. I haven't always had the time (or the energy) to blog regularly, and that isn't really going to change any time soon, but I still enjoy blogging and am looking forward to taking EuropeCrazy to its 6th birthday and beyond! 10. "Sur Un Fil" - Circus. So, after years of success as one of France's most established artists, what did Calogero do next? Well, he went back to his band-roots and formed a new band by the name of Circus. 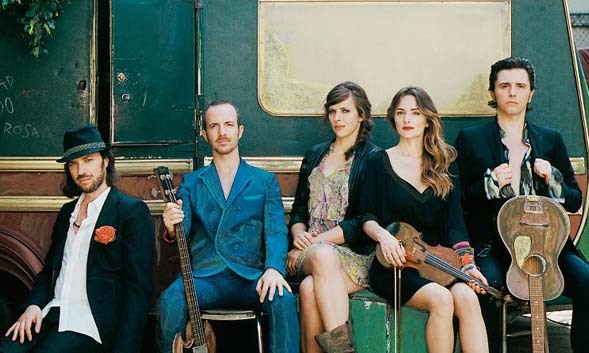 Their debut single, "Sur Un Fil", had bucketloads of laid-back charm and enough of the distinctive Calogero-style to appeal to old and new fans alike. I haven't heard their album yet but will make a point of doing so! 9. "Händerna Mot Himlen" - Petra Marklund. The most significant and welcoming trend in Swedish music in 2012 was the increase in Swedish-language releases by artists who were previously known for their English-language output: Mando Diao and Robert Pettersson (Stiftelsen) are two good examples, but the biggest surprise of the year was the reinvention of Petra Marklund, once known as September, the floorfilling queen of dance, who reinvented herself as a more credible artist with a darker musical style, collaborating with none other than Jocke Berg from Kent. And....it worked. Big time. An excellent, brooding yet anthemic track. 8. 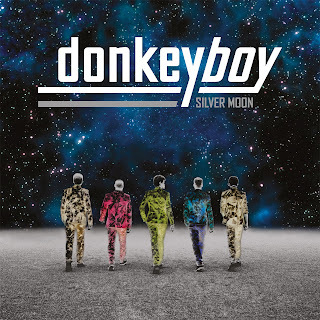 "Silver Moon" - Donkeyboy. One of the long-awaited events of 2012 - the comeback of Donkeyboy - was threatening to disappoint me, as I didn't like "Pull of the Eye" at all. But then along came "Silver Moon" and everything was alright in Donkeyboy-world again. (Although, for me, "Ambitions" will always be their finest moment). "Silver Moon" is a delightful slice of pop perfection, and there was never any doubt that it would make my end-of-year chart. 7. 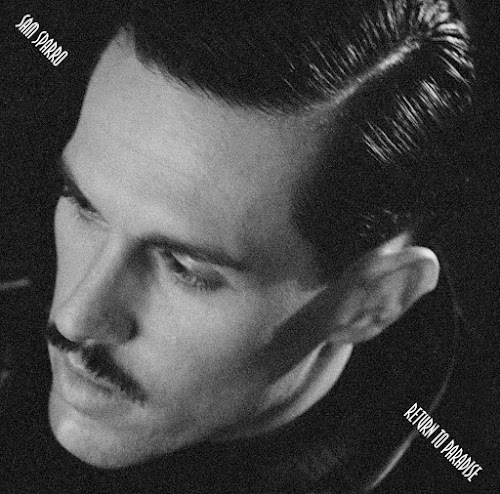 "The Shallow End" - Sam Sparro. After a very long absence, Sam returned with a look which was definitely influenced by Officer Crabtree from Allo Allo (!) but most importantly, with his album "Return To Paradise" which was a cracking, Prince-influenced return to form. Of course you knew the way it was going to go: criminally overlooked in this country, but warmly appreciated on the European continent - particularly in Belgium where "Happiness" was one of the biggest tracks of the year. "The Shallow End" however was the standout track for me, a disco-tastic celebration which musically belongs to another time and place, and is all the better for it. 6. 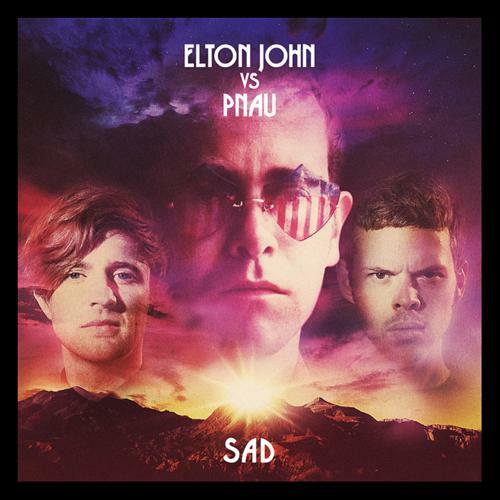 "Sad" - Elton John vs PNAU. A genuinely innovative musical surprise. PNAU's latest adventure, in conjunction with their biggest fan Elton John, was to take something old and turn it into something new. The resulting album was "Good Morning To The Night", a genuinely inventive musical experiment. More than just a remix album, it spliced together some of Elton's old songs and made completely new songs out of them. While we wait for Empire of the Sun's second album (not long now, they've promised to let us hear a new song by mid-February!!) "Sad", released as a single, kept the vibe going and its unique selling point was that it doesn't sound anything like the generic rubbish which was the sound of 2012. 5. 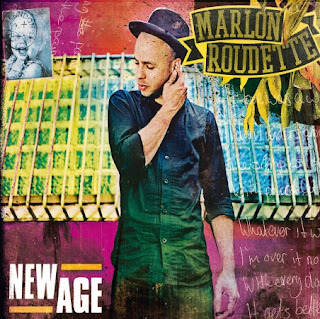 "New Age" - Marlon Roudette. Ah, another one of those 'technicalities' which first made an appearance in 2011 but my appreciation of this song reached its height in 2012. If you'll remember my "Great Lost European Hit" award from previous year-end charts, which recognised songs which were big "over there" but sank without trace "over here", then this for me, is this year's absolute winner of that prize. What makes it all the more annoying is that Marlon (formerly of Mattafix) is a British artist who hasn't had the recognition he deserves in his own country. "New Age" is a fine pop song with a great deal of warmth and likeability, and has been one of the most enduring songs of the year. I never get tired of hearing it. 4. 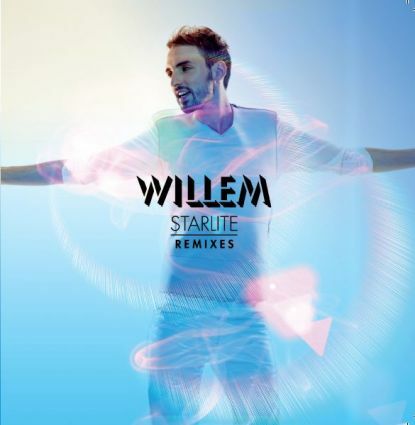 "Starlite" - Christophe Willem. Yet another song which was initially released during 2011 but which I never heard until 2012. Based around a sample of "Ain't Nobody", Christophe sparkled his glitterball-tastic disco magic all over the song, with brilliant results. Whilst I was on holiday in Nice, I couldn't escape it on the music channels: that sealed the deal, and a place in my year-end top 5 was guaranteed. This was one of those ‘where were you when you heard ........?’ moments. In this case, the pinnacle of the London 2012 opening ceremony, when the young unknown British athletes lit the cauldron at the Olympic Park, a moment that we will always remember. 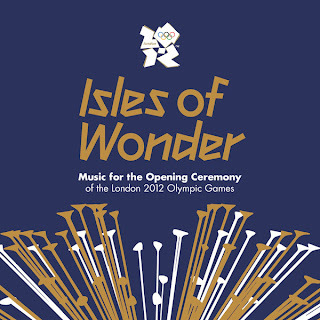 A truly beautiful piece of music which absolutely reduces me to a pile of rubble every time I hear it. Pass the Kleenex. 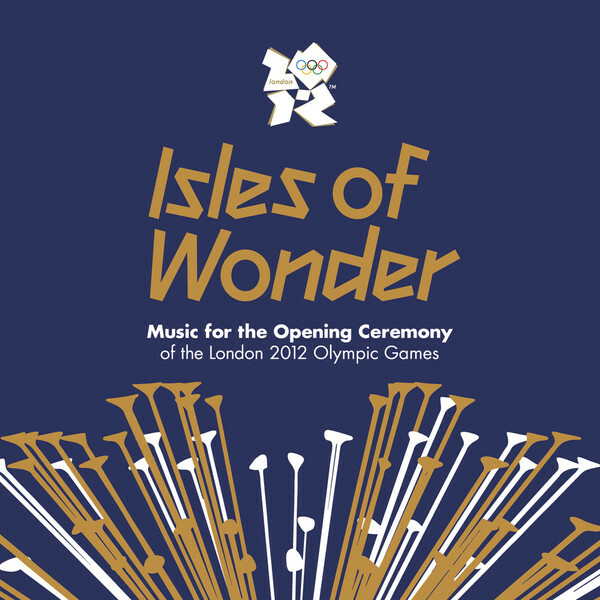 Maybe it was just that I was feeling over-emotional around the time of the Olympics, but this song completely blew my mind and blew almost everything else released in 2012 out of the water. 2. 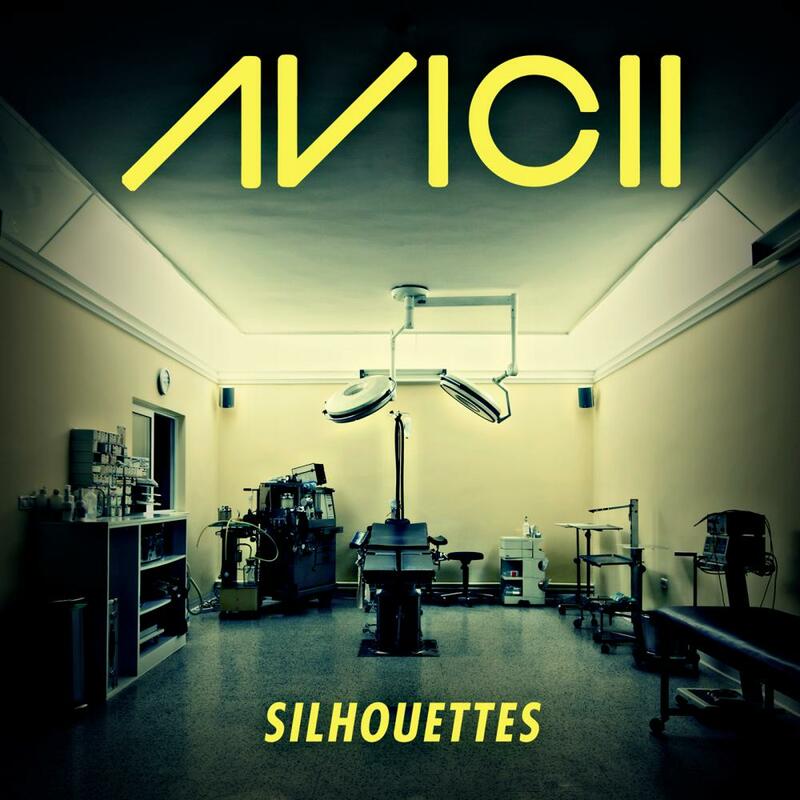 "Silhouettes" - Avicii featuring Salem Al Fakir. Riding on the worldwide success of "Levels", the A-list Swedish superstar DJ can do no wrong and is in much demand. But let's go back in time - to 2011, when this track was first leaked on the internet and worked its way onto the dancefloors as a hot pre-release dance anthem. When it eventually got its official release in the UK back in May 2012, the song made it into the UK top 30 singles chart and was even played on British radio! Yes, the impossible finally happened: a song with Salem Al Fakir on vocals, being played on my local radio station! It goes without saying that Salem's contribution really turns "Silhouettes" into a very special dance track indeed. And even though it maybe hasn't achieved the commercial acclaim of "Levels", it's still the song which refuses to die: not a week goes by without a new remix appearing. 1. 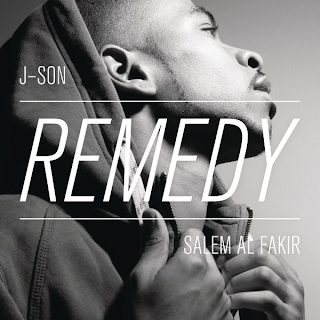 "Remedy" J-Son featuring Salem Al Fakir. Take it to the top of the world....and to the top of my chart. Yes, once again, Salem is back where he belongs - in the top two places of my year-end chart. Just after the 2011-50 was published last December, this song came to my attention and, well, you know the rest. Although Salem has taken some well-deserved time out from his solo career, (with one very important 'production' earlier this year!!) he made that all-important guest appearance on this track by rapper J-Son, with whom he also collaborated with on Eric Saade's "Rocket Science" last year. This is an uplifting and totally joyous pop/rap song, the biggest musical feelgood factor of 2012 for me: there was never any doubt that this would top my annual chart. And so it has. Congratulations J-Son and Salem! Oh, and Salem....can we have a new solo record in 2013? Please???? I’ll never forget seeing this on MGP for the first time - "Oh my God, it’s an Eric Saade tribute act!!" However I thought "Stay" was so much better than "Popular". The song (and that twirly-hand move) very quickly found its way into my affections and I even had a dream/premonition when I saw the ESC end credits roll over the song. How wrong can you be? I still can't understand why Norway found itself at the bottom of the ESC leaderboard, when this was one of the year's best song contest entries. 19. "Shapeshifter" - Rikke Normann. A fresh & catchy dance song, which missed out on a place in the MGP final. 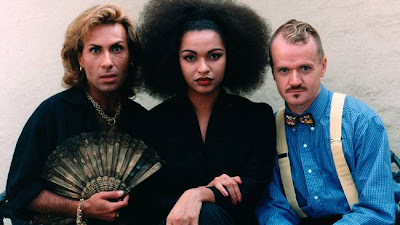 Which IMHO was down to the combination of her bad styling, that dodgy end-of-song scream, and a bit too much distraction in the live performance from the geek-boys-in-braces (although you know how much I love boys in braces!). But there will always be a place for it at EuropeCrazy HQ, and this has ended up becoming one of my most played national final songs of the year. 18. 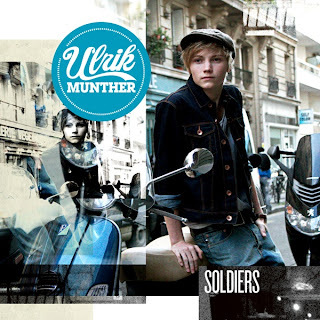 "Soldiers" - Ulrik Munther. I hadn't checked out his music before this year's Melodifestivalen, purely because I don't really like "young" singers or those who look about 12 years old (!) so this was a very pleasant surprise. Reminiscent of OneRepublic's "All The Right Moves", and peppered with lyrical military metaphors ("armies of one on the battlefield", you get the idea), Ulrik effortlessly breezed to Globen which made lots of teenage girls happy and left some pop bloggers feeling grumpy! "Soldiers" then spent a big chunk of late spring squatting on my iPod and refusing to leave. 17. "Hugarro" - Magni Asgeirsson. For the second year in a row, Magni was to be denied success at Songvakeppni. The Icelandic selection filled me with mixed feelings: on the one hand, Magni is such a compelling, passionate performer that I soooo wanted him to win but on the other hand Jonsi was there and I soooo wanted him to win too. Such is the high standard of Songvakeppni! This is a compelling Icelandic-language rock ballad. I wonder if he'll ever take part in the Icelandic song selection again? 16. "Amazing" - Danny Saucedo. I'll let you into a secret: earlier in the year, this was in my top 5 songs of the year but in the long run it hasn't had the staying power that "In The Club" had. Nevertheless, I still like it, and in any other year this could have been a potential Melodifestivalen winner, but of course 2012 wasn't just any other year. Danny's 'sour grapes' attitude after the final was a bit of a disappointment, but that's all water under the bridge now, for the co-presenter of Melodifestivalen 2013! 15. 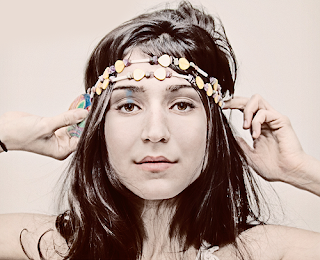 "Some Die Young" - Laleh. One of the remarkable things about "Så mycket bättre" has been its evolution from a TV entertainment show into a crucial career revival format which Swedish artists and record companies are now queuing up to be part of. If 2010 was all about September and 2012 was all about Darin (and Maja Ivarsson), then undoubtedly 2011 was Laleh's year and this brought her massive post-show success into 2012. I'm not a fan of her music, but this was an absolutely cracking song with an incredible emotional narrative. 14. 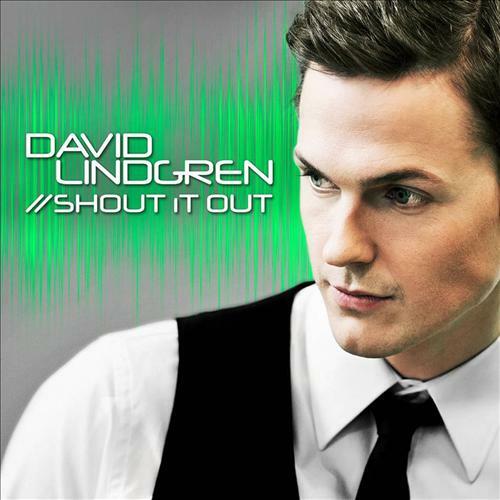 "Shout It Out" - David Lindgren. He may have looked like a bank clerk, but break-dancin' Dave proved to be a revelation in his Melodifestivalen debut. "Shout It Out" has become one of the biggest radio hits in Sweden this year and I never tire of it. The song and dance man also stole the show at Tomas Ledin’s Skansen summer special. 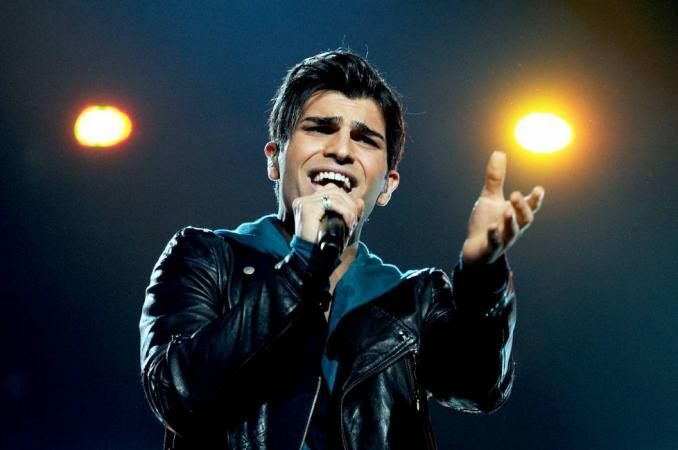 David can of course expect a rapturous reception when he returns to the Melodifestivalen stage in 2013, this time as a serious contender. But will the song be as catchy and as good as this one? 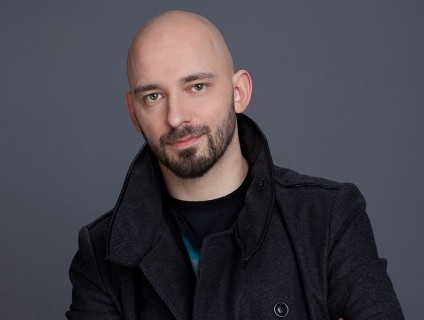 The winner of the 2012 Eurovision Song Contest. Loreen provided one of Eurovision's most iconic winning performances in years, although I still stand by my original comments that the song would not have done so well had it not been for her performance, the routine and the staging. Nevertheless, the song still sounds fresh and vital, and a credible Eurovision winner for fans to be proud of. 12. "Last Time" - Labrinth. 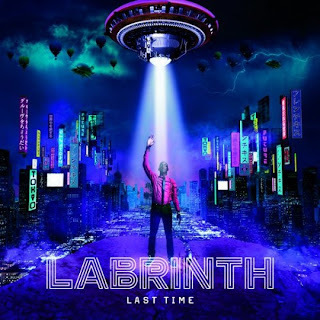 There are so many reasons why I should hate Labrinth: notably his link with Simon Cowell, and that beyond-annoying "Beneath Your Beautiful" song which takes The New Boring to a whole new level. This really shouldn’t even have got a sniff of my annual chart as it commits too many of my "musical sins" of the past few years; far too much auto-tune and vocoder nonsense, and basically he's just singing a load of place names, yet it crucially worked for me this year in a way that so many other tracks didn’t, for reasons I still can’t explain. 11. "Sound Of Our Hearts" - Compact Disco. 30. "Somebody That I Used To Know" - Gotye featuring Kimbra. Yet another of those 'technicalities', a song by an Aussie of Belgian origin, originally released in 2011 and hitting everywhere first and the UK last, so I'm including it here as it finally rolled into the UK top 30 singles chart in January and became a fixture on radio playlists for a big chunk of the year. Quirky, original and different: after all, how many songs take their musical inspiration from Baa Baa Black Sheep? (Don't answer that!). 29. "You And I" - Minnie-Oh. 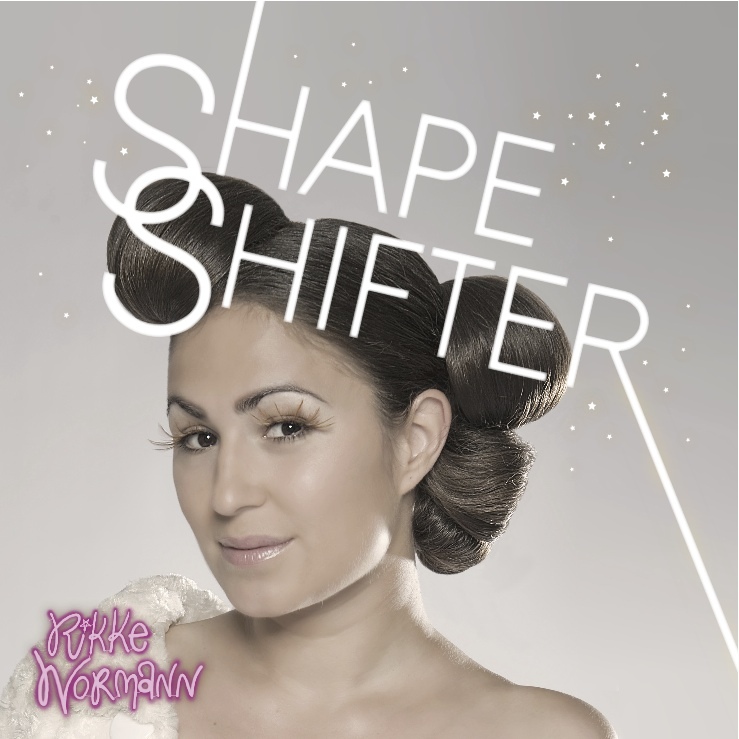 A terrific electro-pop number from this year's Norsk Melodi Grand Prix. Maybe not the best ever vocal performance, but who could not love Minnie and her customised spiky puffa jacket? This song was both ice-cool and delightfully warm at the same time, and completely likeable. Hurry up with some more musical greatness Minnie! 28. "Sur Le Fil" - Jenifer. So, what happened here then? My favourite Israeli ESC entry in many a year, and it didn't get to the final. Oh what the hell, I have rediscovered the song all over again whilst preparing my annual chart. I don't really like this video but I still like the song though. 26. "Love Me" - Stooshe featuring Travie McCoy. Bloody ‘ell, Travie McCoy again. Unfortunately he crops up like a bad penny in what feels like every annual chart, ‘featuring’ on songs which otherwise floated my boat. Stooshe cemented their arrival in the UK and Europe with the retro-flavoured and rather good Black Heart, which narrowly missed out on my chart purely for reasons that everyone’s familiar with it, whereas this merits inclusion as it was their lesser known first hit and it managed to bring some cartoonish genuine fun to an otherwise generic, erm, genre. 25. "Gangnam Style" - Psy. A little-known and somewhat obscure song which you probably have never heard of. JUST KIDDING!!! You are probably all sick of it by now, the dance routines, the numerous parodies etc etc. It doesn't have any great musical merit, but I'm not ashamed to say that I like "Gangnam Style" because it has brought some much-needed fun to some otherwise dark times. And as one-hit wonders go, this'll probably be the biggest of them all: a billion views on YouTube and counting. Oppan Gangnam Style! 24. 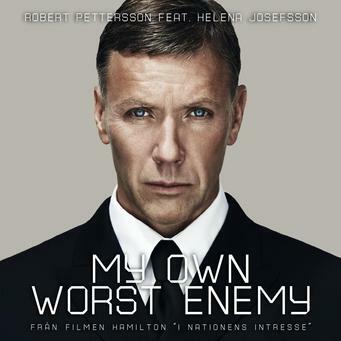 "My Own Worst Enemy" - Robert Pettersson featuring Helena Josefsson. Fittingly for the theme song to what sounds like a Swedish equivalent of a James Bond-style film, this has all the drama of a Bond theme. Give me this tune over that "Skyfall" snooze-fest anyday! Robert is one of the best vocalists in Sweden right now, and his voice blends very well with Helena's. For me this was one of the most underrated songs of the year. 23. 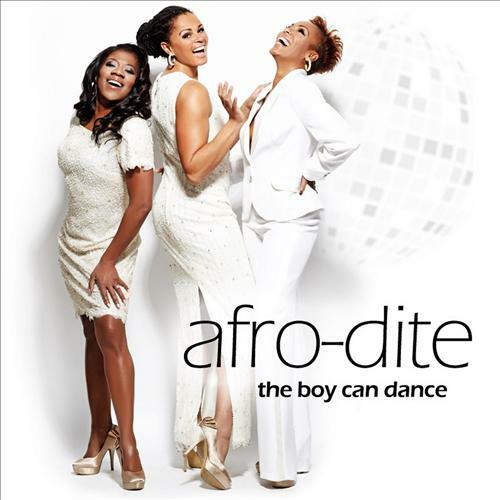 "The Boy Can Dance" - Afro-Dite. 10 years after they won Melodifestivalen with the disco-tastic "Never Let It Go" - one of my favourite MF winners ever, by the way - the ladies were shakin' shakin' their way back into the schlager consciousness with this catchy number. However they didn't get to shake it all the way to Globen, missing out on qualification from a heat which included eventual winner Loreen. 22. "Stattu Upp" - Blar Opal. Now here is an example of a song which, if I'm honest, annoyed me when it was in Songvakeppni (and I was too busy cheering on my boys Magni and Jonsi at the time) but it went on to become a favourite of mine over subsequent months. It's basically Taio Cruz's "Dynamite" re-imagined by what appears to be a reassuringly amateurish boyband who eventually win you over with bags of enthusiasm. 21. "Kuula" - Ott Lepland. Ott was a stand-out at this year's Eurovision Song Contest in more ways than one (oo-er missus!!) but let's get our minds out of the gutter for a moment and focus on the music, shall we? ﻿A beautiful ballad, brilliantly sung, and best of all, it sounded so lovely and lyrical in its native language, Estonian. The song's reasonable success in the grand final proved that you don't need any of that translation-into-English rubbish for greatness to shine through. 40. "Never Forget" - Gréta Salóme & Jónsi. All of us with a Nordic knitwear obsession particularly loved that video clip :) I thoroughly enjoyed the Songvakeppni 2012 experience although had mixed feelings regarding the result, as I was glad to see Greta and Jonsi win although I really wanted Magni to win. In other words it's a win-win situation! A delightful, dramatic epic number which was criminally under-appreciated by the televoters of Europe at the final in Baku. 39. "Avalon" - Professor Green featuring Sierra Kusterbeck. Another one of those 'technicalities' which was released in 2011 but only came to my attention this year thanks to its use in an advert, if I remember, for an energy drink. Good rap manages to blend various musical genres and this rap/rock blend is a good example of that: think Eminem duetting with Evanescence and you get the idea. 38. 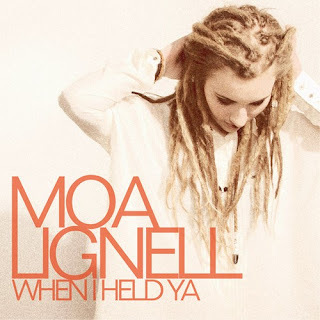 "When I Held Ya" - Moa Lignell. 37. 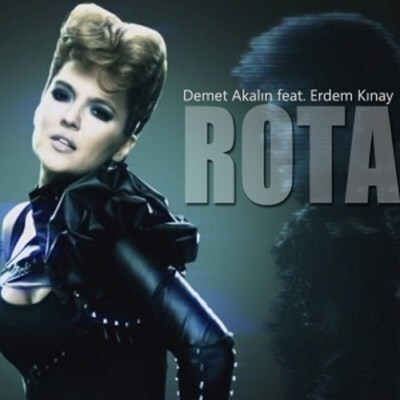 "Rota" - Demet Akalin feat. 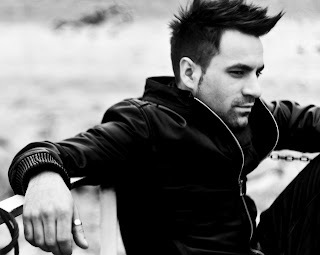 Erdem Kinay. A Turkish take on the electronic dance music theme. This electro-dance stomper comes from one of faithful travelling companion's favourite Turkish female artists and I discovered it earlier in the year whilst doing some pre-holiday musical research. It's a very catchy dance track which I never tire of. 36. 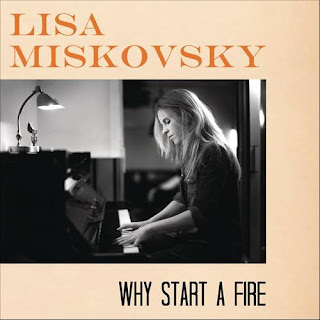 "Why Start A Fire" - Lisa Miskovsky. I'll admit that initially I didn't like this on first hearing, but it was such a grower that by the time we got to the final at Globen this classy pop song became one of my favourites and had considerable staying power for me long after the contest. Co-written by a Norwegian songwriting team, including the lovely Aleksander With, by the way. 35. "Flytta på Dej!" - Alina Devecerski. 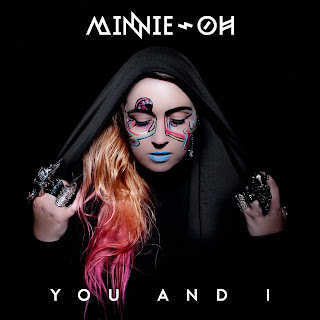 Terrifyingly catchy electro-pop tune from one of Sweden’s hottest pop discoveries of the year. Even if it was a bit too representative of the "EDM" generic sound of 2012, and that chavvy style was so not a good look, it stood out thanks to its slightly bonkers quality and that flytta-flytta-flytta-flytta hook. 34. "Rockstar" - Dappy featuring Brian May. 33. 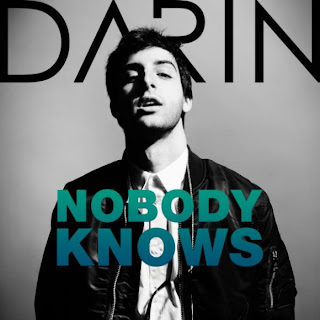 "Nobody Knows" - Darin. It's been a very good career move for him, appearing in the 3rd series of "Så mycket bättre" hasn't it! As I write this, he continues to hold the top two positions in the Swedish iTunes singles chart with "En Apa Som Lika Dig" and "Astrologen" but let's rewind to earlier in the year for my 33rd favourite song of 2012. Here he is at Allsång På Skansen with a triumphant summer performance. 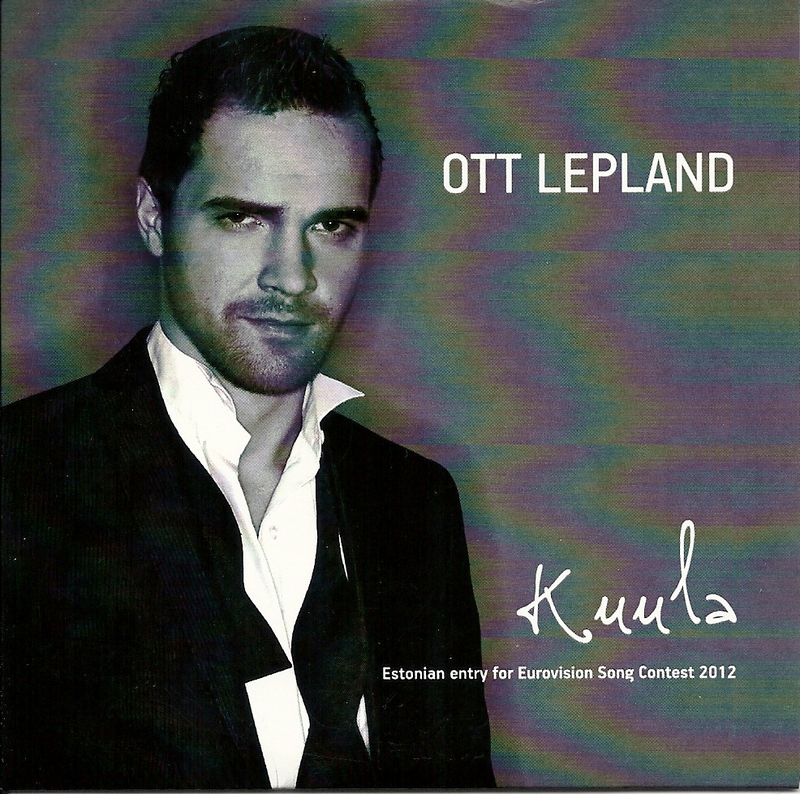 It's a pity he probably won't be doing Melodifestivalen again as this song would have fitted in there very well. Welcome back Darin! 32. "Don't You Worry Child" - Swedish House Mafia feat. John Martin. The trio of Swedish superstar DJs decided to call it a day this year and what a way to go. One of the year's top dance anthems which has just grown in stature over recent months and has completely grown on me over that time. They may be going their separate ways, but one thing's for sure - there is much more to come from Axwell, Ingrosso and Angello. 31. "Drive By" - Train. Aah, good old Train. They seem to have the knack of knocking out an international hit, like "Hey Soul Sister" and then disappear for a couple of years and then come back with yet another international hit, like the catchy-as-hell radio playlist staple "Drive By". For some reason, people don't really want to have them around for longer than that big international hit. Which is a bit of a shame really. Finally it's here! Firstly an introduction. I'm doing my chart a little differently this year with 10 songs at a time, rather than the old two songs a day format. I've probably missed out on a lot of good new music this year, mainly due to the fact that I haven't really listened to much music at all. So for that reason, the chart is only a reflection of what I listened to over the past 12 months. As usual, the criteria is pretty random: there are songs which I was aware of in 2011 but for various reasons didn't make my chart last year so they qualify for this year's chart. Likewise there are probably some songs kicking around at the moment which have missed out on this year's chart and may pop up next year, who knows? 50. "Chasing The Sun" - The Wanted. 49. "Make It Better" - Tommy Fredvang. 48. "This is Love" - Will.i.am featuring Eva Simons. 47. "Vart jag än går" - Stiftelsen. 46. 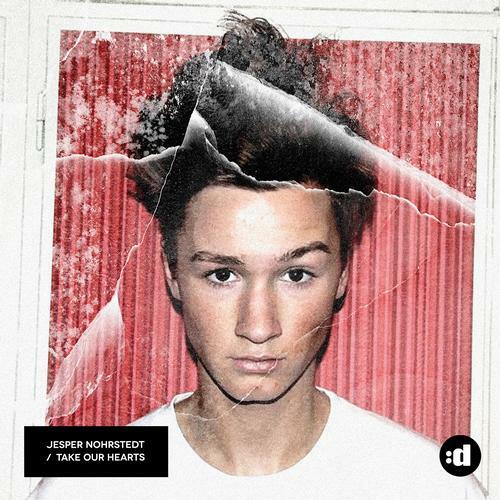 "Take Our Hearts" - Jesper Nohrstedt. 45. "Best Thing I Got" - Aya. 44. "Is This Love" - Aiden Grimshaw. 43. "Sweet Nothing" - Calvin Harris featuring Florence Welch. 42. "Quelque Part" - Kenza Farah. 41. "Lyckligare Nu" - Linnea Henriksson. I haven't really had time lately to post my monthly TV write-ups so I thought I would get the last two months out of the way before we hit the Christmas TV season. Over the past few weeks, there has of course only been one story in town. The "EXPOSURE" documentary (ITV1) uncovered a horrific catalogue of long-term sexual abuse perpetrated by Jimmy Savile over a number of years, which was shockingly covered up by all around him. But the media loves nothing more than talking and writing about itself, and moved the focus away from the victims and focused on the "Newsnight scandal" - with events taking bizarre twists and turns and resulting in the resignation of the BBC's director general George Entwistle after just a few weeks in the job. The whole Savile saga (and the unrelated arrest of Dave Lee Travis) has conveniently given the BBC an excuse to drop the archive "TOP OF THE POPS 1977" episodes which they presented, and it now looks as if the whole week-by-week archive series will be taken off our screens. Would it really be so difficult to edit out the presenter links and show it, TOTP2 style, with a voiceover? It's a real shame if it was to be axed: like many people from 'my generation' I've thoroughly enjoyed the 1976 and 1977 series, and even if you don't like all the music every week, you can't deny that the 1977 episodes have particularly been filled with the kind of musical diversity which is now long gone: everything from the Stranglers to The Dooleys! (remember them???). They're blaming that good old ratings excuse, but I hardly think that 30 minutes on a Thursday night on BBC4 really makes much of a difference. Save TOTP!! 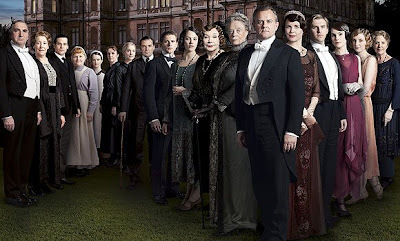 Still on my favourite channel, we are currently in the midst of the final series of a TV phenomenon. 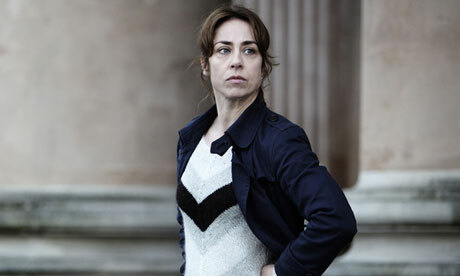 "THE KILLING III" is being shown in two-episode blocks over five weeks, and it will all soon be over, but Soren Sveistrup's decision to quit while they're ahead will ensure the show's place in telly immortality. This time, the multi-stranded drama focuses on shipmate killings, the kidnapping of a shipping tycoon's daughter, and a Borgen-style election campaign. The Danes are wonderful: they even make politics interesting! (As ever, I'm behind with it all: I've seen three episodes so far but due to time constraints I'll probably keep the rest of it for a big festive-season catchup. Or not.) Don't like the chevron-jumper though. I just hope that there is a nice happy ending for Sarah: but then, I think, don't be daft, this is The Killing we're talking about! The show may be leaving our screens but I'll be in Lund-land for a long time yet, as Santa's bringing me the book-version of Series 1 and also The Killing Handbook which looks good fun :) I'm planning to start book reviews on the blog next year and these may be among them. Still in the Nordic parts, I enjoyed the offbeat, quirky and occasionally funny "LILYHAMMER" (BBC4) although I still can't decide what it was trying to be - a drama? A comedy? Both? Still can't get that "My kind of town, Lillehammer is" out of my head. A second series would be very welcome, although for some reason I can't see it happening. One long-awaited second series is nearing its end. "HOMELAND" (Channel 4) was one of the biggest TV events of last year, so it was inevitable that Season 2 wouldn't be as mindblowing as the first. It has had its moments though, but there have also been some dull episodes along the way. Brody (why does everyone call him Brody, even his wife??) isn't just living a double life anymore, more of a quadruple one at the very least. It's December now, which means it's pantomime season. Oh no it isn't! Because panto starts in August, when the "X FACTOR" (ITV) hits our screens. I choose not to watch it, but then you don't need to as the papers and the internet have been full of the fake drama, the "fixes", the animosity between the judges etc etc for months on end. Apparently there is someone in it this year called Christopher Maloney, who is a "cruise ship crooner" and it would be the kiss of death for the show if he won....! We should be that lucky. Over on BBC1, "STRICTLY COME DANCING" has been beating X Factor in the ratings week after week, yet it hasn't been a vintage year by any means. Ballerina Darcey "yah" Bussell has joined the panel but it's still all about Craig and his catchphrases (that was a disaaaaaa-ster daaaaaarling) and Bruno, who should really be tied down to his chair and his arms tied behind his back. Brucie may be a TV legend but he's now way beyond his sell-by date and even needs an autocue to say "let's meet the stars of our show". This year's chosen one is Denise Van Outen. Yes she is a very good dancer, but does she not have the unfair advantage of someone who has appeared in stage musicals? So therefore she is no stranger to choreography, am I right? She is also paired with resident rebel James Jordan, who seems to have been kidnapped by aliens and replaced with a grovelling sycophant. I was hoping for great things from Victoria Pendleton, who certainly looked the part, but unfortunately she had two left feet. She's gone, as are Johnny Ball, Jerry Hall (poor Anton!) Fern Britton, Colin Salmon, Sid Owen, Richard Arnold, Michael Vaughan. Seeing how the other half live can be fascinating and more than a bit sickening at the same time. But you can't beat a bit of escapism from time to time. "RICHARD E GRANT'S HOTEL SECRETS" (Sky Atlantic) takes us to the grandest, most expensive hotels. You really shouldn't enjoy this stuff, but you can't help yourself. How sad I was, tuning into a live-streamed Apple conference on 23rd October, waiting for news of the new iPad mini. Which turned out to be much more expensive than expected. (I can't really understand why, but I still have this urge to get a tablet computer although it's in the 'want' rather than the 'need' category at this stage). Let's go back a few weeks with some more love for the mighty BBC4. And so it continues. "THE BEST POSSIBLE TASTE" was the latest in a series of occasional drama-documentaries, and if reports are to be believed, it was the last one of its kind to be commissioned due to forthcoming cuts. Kenny Everett was the subject this time, and what an excellently-acted show it was too. "Bullets don't seem to have much of an effect on me, darlin!" gleefully declared JR Ewing in the 2012 reboot of "DALLAS" (Channel 5). Now I'm not one for revivals or reboots, so it's all the more surprising that I've stuck with this, as it turned out to be strangely addictive viewing. I won't spoil it for you if you have still to see it, but that was an amazing twist at the end of the series, which nicely connected the old and the new. The next generation - John Ross and Christopher and their collective female partners - are a bit blandsville, but Larry Hagman stole every scene. As you know, Larry Hagman sadly passed away a couple of weeks ago, but he will go down in TV history for playing the notorious 'love-to-hate' baddie, the iconic JR Ewing. For many, many years, before I started doing all that jetsetting stuff, Blackpool was almost like a second home as I holidayed there every year. For that reason "999 - WHAT'S YOUR EMERGENCY" (Channel 4) became addictive viewing as we always enjoy any programmes about Blackpool. However, these are now different times and I can't see this show getting a thumbs-up from the tourist office any time soon. The programme focused on the stags, hens, drunks and low-lifes who now frequent the resort and most definitely didn't show the resort in a very good light. The critics may not have loved "FOOL BRITANNIA" (ITV) but here at EuropeCrazy HQ we are firmly in the Dom-Joly-Can-Do-No-Wrong camp so you won't hear anything against it. Although we will admit that it fell short of the glory days of Trigger Happy TV, and the Ian Yard character is nothing more than a rehash of Peter Kay's "Keith Lard" from Phoenix Nights. That aside, it was rather refreshing to find something decent on ITV of a Saturday night, as the station seeks to fill the void left behind by the late lamented "TV Burp". Talking of Mr Hill, we finally got round to watching "WHATEVER HAPPENED TO HARRY HILL?" (Channel 4) which was a hilarious mock-documentary looking back at Harry's 1990s C4 show and trying to reunite him with his co-stars. 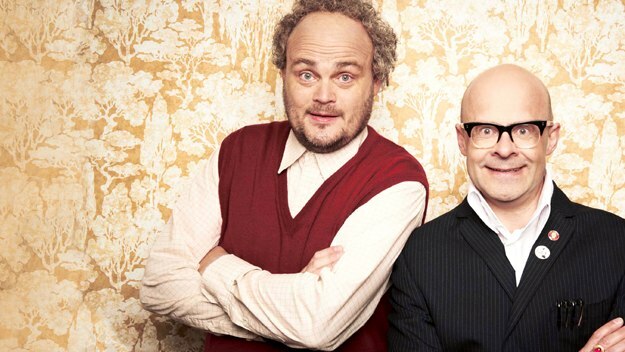 I was late to the Harry Hill party, and didn't watch this show back then, only becoming a fan when I discovered Shark Infested Custard and then Burp. Strangely enough I didn't think I was going to like "PAUL O'GRADY: FOR THE LOVE OF DOGS" (ITV) as a) I'm not nor have I ever been a dog owner and b) I got very tired of Mr O'Grady a long time ago. So all the more surprising when I found myself being drawn back week after week to this series about Battersea Dogs Home. Sometimes happy, sometimes sad, sometimes it had the "wow" factor, or should that be the bow-wow-wow factor?? I think this one could run and run. At least it's not "The Lakes" or "The Dales" indeed "Coached Off The Couch" the latter which could probably have run "The Nightshift" close for the title of STV's poorest excuse for filler. Like, ever. Oh balls! The first series of the slightly absurd but extremely funny "MOONE BOY" (Sky 1) came to an end. The good news is that there is more to come, and that my favourite Irishman (the wonderful Niall Breslin) will be making a guest appearance in one of the episodes. Have decided that the fab and funny Chris O'Dowd is now my second favourite Irishman. More please. 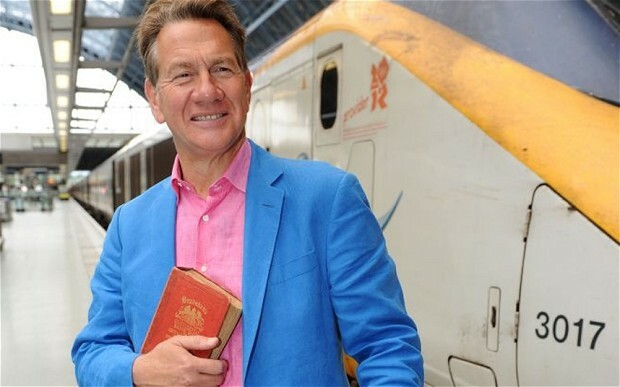 Ex-politician Michael Portillo in 'rather good TV show' shock? Who knew? "GREAT EUROPEAN RAILWAY JOURNEYS" (BBC2) is probably the kind of programme I would invent if I was a TV controller so it's right up my street. Given Mr Portillo's political past, I was extremely sceptical about watching anything he was presenting, but I was willing to give him the benefit of the doubt and put my political views aside, to find out that he's quite an agreeable and enthusiastic presenter. 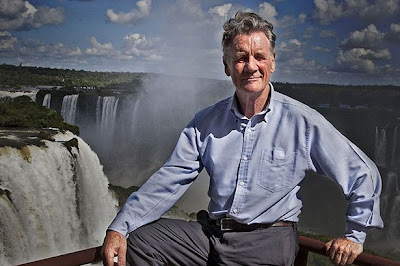 Another Michael, Mr Palin, was back on our screens with "BRAZIL WITH MICHAEL PALIN" (BBC1), which was ok, although for some reason I didn't really enjoy this as much as some of his previous travelogues. There may not be so many travel shows on the mainstream TV channels these days, but the same can't be said for food shows. They're everywhere and inescapable. When food is combined with travel, now that's a must-see. A couple of months ago we had Allegra McEvedy exploring Turkey and its cuisine, now we have top chef Yotam Ottolenghi doing his bit for Mediterranean food. 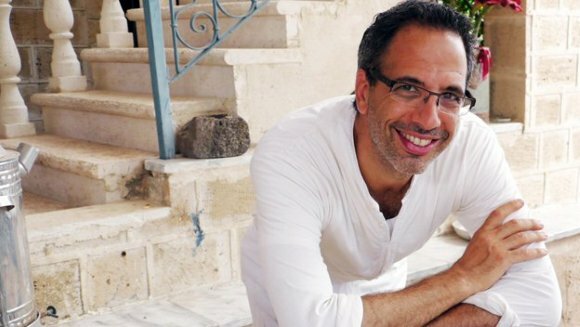 "OTTOLENGHI'S MEDITERRANEAN FEAST" (More 4) took us to a different country every week (including Turkey and Tunisia so far). He's quite low-key and let the food speak for itself. Last Monday, the line-ups were revealed for the first two heats of Melodifestivalen 2012. However I decided to wait until the remaining artists and song titles were revealed today before I published my thoughts and expectations. Of course, song titles are not much to go on, so this is all just guesswork by me! As usual, the line-up is a mix of established and unknown artists, with some very well-known Melodifestivalen songwriters. Ah yes, those songwriters. That's still my biggest complaint about the contest: the same old songwriters year in, year out. Oh well....let's just hope we get some good songs out of it. But I'm not getting my hopes up too high: the modern day Melodifestivalen isn't just a song contest any more - it's a great big 21st century entertainment event, which sadly these days is as much about the attention-grabbing novelty entries/publicity stunts, which will get maximum press attention, as it is about actual songs. But on the other hand, I always look forward to the annual six-week extravaganza. Hard to believe it, but it's only a few weeks away! So here's what we have to look forward to in February 2013! It's "Groundhog Day" once again, as Mr Kempe has one more try at MF success. I'm guessing 'anthemic country ballad'? An unknown quantity to me, but sometimes the unknown names provide the most pleasant surprises. 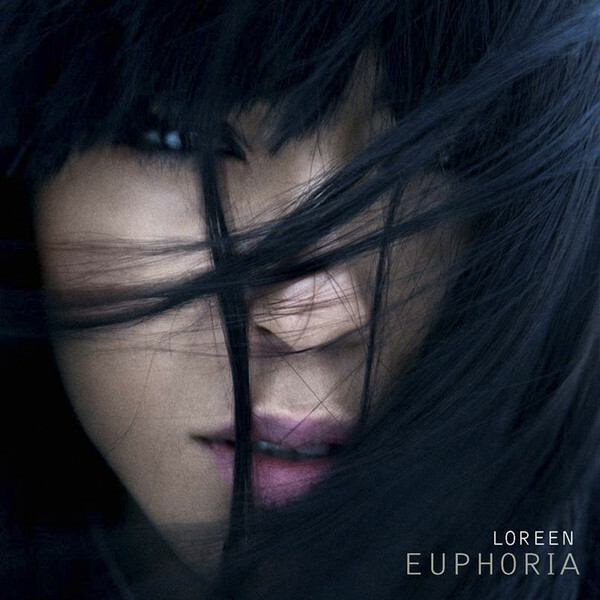 Remember a certain Loreen from a couple of years ago? Although this may get lost amongst the more well-known names. Another new name to me and an unknown quantity. Anna is among that group of credible female singer-songwriters of recent years in Sweden, but I can't really see this being such an interesting entry. He was the big breakout star this year, so I'll guess, even without hearing the song, that he'll be direkt-till-Globen and I'm expecting an uptempo entry. I was really happy to see Eric amongst the line-up, and with a Swedish-language song too! He was very popular a few years ago but I don't know if he'll appeal to the MF voters though. 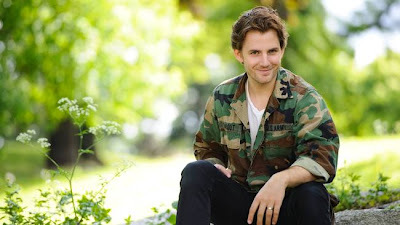 With Feiner's pedigree as an established dance act - and of course one of the people responsible for the Melodifestivalen end credits theme - he has a very good chance here. I'm expecting a very modern, current, electronic dance anthem. Mr Cans is of course the lead singer of heavy metallers Hammerfall, but became more famous in recent years for competing in Körslaget. That's what I love about Swedish rockers - and I always like rock acts in Melodifestivalen so I'm looking forward to this. Kempe time again - does the man never give up? Based on looks alone, Anton will probably be 2013's answer to Eric Saade. Is he 2013's answer to Thorsten Flinck? I'm not so keen on the songwriter either. I'm guessing it may be something boring. Back on familiar ground with some very familiar names, which would suggest that it could be one of the favourites not just in this heat, but in the full contest. A very intriguing Swedish-Norwegian collaboration. Hopefully something uptempo and not a boring ballad. She's a new name to me, but the songwriters certainly aren't. I'm guessing a mid-paced ballad? One of the most bizarre MF song-titles of recent years, from an artist who was very popular in the 80s and 90s. The other songwriters were responsible for various Azerbaijan ESC entries, so it'll probably be rather predictable. Regardless of what the song's like, I have no doubt that this will be my favourite three minutes of Melodifestivalen 2013. Need I say more? Eddie is not the only ex-Swedish Idol contestant in this year's contest - Amanda was of course the final winner of Swedish Idol so I'm sure she'll get a lot of votes anyway. 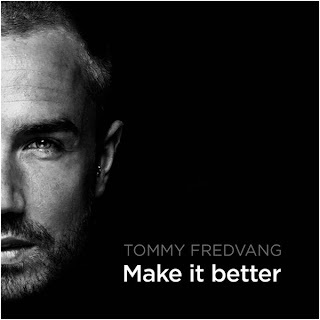 With a title like that, the return of Tommy Körberg, and a certain Mr Dorsin in the songwriting line-up, you just know that this will be one of the year's most talked-about entries. Yet another song which is probably taking the place of a better song, but one, like Mirakel this year, that guarantees lots and lots of press. A totally new name to me, I'm expecting some rock/pop here? A new opportunity for Janet to resurrect her pop career here, and with those songwriters I'm expecting a big modern uptempo dance-pop number. And now, one of the serious contenders this year. Based on previous form this is likely to be an absolute qualifier. I'm no fan of her work though, and I doubt if this song will change my mind. 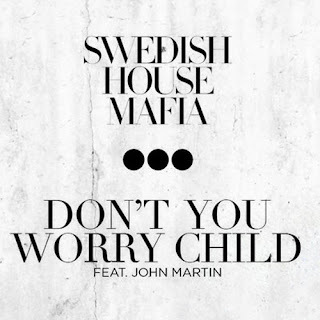 I'm delighted to see Martin in the line-up as a solo artist and I'm hoping that the song is up to the standard of his previous Melodifestivalen entries with BWO. I'm not so sure if he'll qualify though, but it will be very nice to see him again! One of this year's pre-qualifiers which have taken over from the webbjoker which I don't think has been such a successful experiment, so I can't really see this progressing further. Another frontman from a famous Swedish rock band striking out on his own: this time it's the lead singer of Mustasch. Will his fanbase be watching Melodifestivalen though? Very interesting song title! Like Elin Petersson in heat 3, this was one of the pre-qualifying entries which we knew about before the final line-up was revealed. Again, not a likely qualifier. Another new name here, so I don't really have anything to say about it, but it could be an intriguing entry with a very exotic feel to it. Here we go...yet another new name, there are a lot of them this year! Peter Kvint is an MF regular though, so I'm expecting an uptempo pop-rock number. 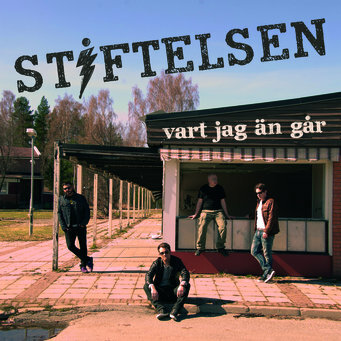 Ladies and gentlemen, it's the return of one of Sweden's most flamboyant pop combos ever! Melodifestivalen just got a million times more interesting. Let's hope that the song is as amazing as their reunion. A very welcome return by young Ulrik who gave us one of my favourite songs in this year's contest, "Soldiers". Hopefully this will be as good as that one. Mr G:son has been very busy again this year hasn't he! Sylvia - yes, she of "Y Viva Espana" fame - is currently starring in series 3 of Så mycket bättre so this will keep her in the spotlight for a little bit longer yet. Expect some good old fashioned schlager. Another artist I'm very happy to see in the line-up, I'm sure that Idol finalist Robin will give it his all, he has such a great voice andwhether he qualifies or not, I'm hoping that this will certainly give his career a massive boost. All will be revealed in February! You may have heard the song. You may even have seen the video and the dance routine...OK I'm joking, it's the song which won't go away. Some love it, some hate it with a passion but one thing's for sure, you can't ignore it. The last couple of months have seen the world go crazy for Korean pop star Psy and his infectious Gangnam Style. It used to be the "holiday songs" which dominated international charts for months on end, but now all you need to be is an internet sensation. 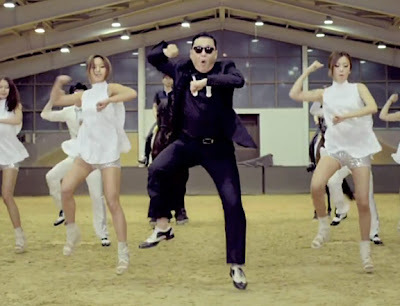 So why has Gangnam Style achieved such cross-continental international appeal? One word: fun. There are only two kinds of music making the charts and getting airplay at the moment - either electronic dance music and all its variations, or The New Boring. Both of which are completely joyless. It took me a while to realise the reasons why modern pop music just isn't doing it for me: the fun has gone out of pop music. Bland conveyor-belt artists and talent show contestants are all singing about partying and having fun, but I can't hear any happiness. Gangnam Style, on the other hand, is silly, frivolous and just plain daft, but it's an invitation to dance and have fun in these otherwise dark times and Psy is clearly enjoying every moment. Like all these crazes, there's no doubt that its time will pass and he will be remembered as a one-hit wonder: but we'll fondly remember Gangnam Style for putting a brief, fleeting smile back on the face of modern pop.